In our first ‘Photo of the Week’, we will be looking at research investigating the effects of human activity on the habitat of forest dwelling primates. The research is being led by BU’s Dr Amanda Korstjens and Professor Ross Hill. A primate needs to negotiate its way through the forest to find safe sleeping places and food. 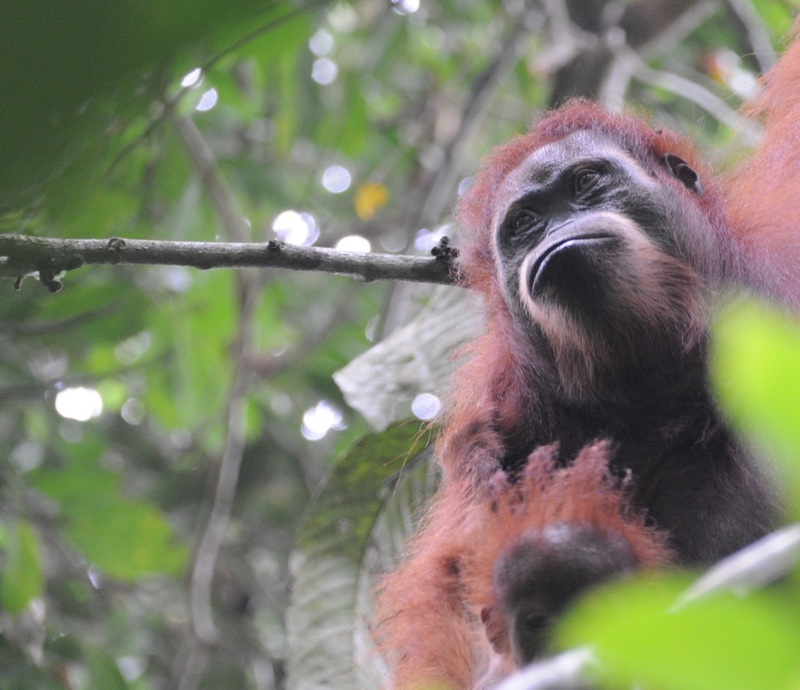 The aim of the research is to find out how well primates can manage to do so when their forest is disturbed through human activity. Gaps between trees are becoming more frequent due to selective logging or climate change-induced forest reduction. Gaps are difficult to traverse for arboreal primates. Researchers from Bournemouth University, Dr Amanda Korstjens and Professor Ross Hill, have been using aerial photography from unmanned aerial vehicles (UAVs) to obtain detailed 3D data of tropical forest structure. The structure of the forest provides information about the frequency of forest gaps, density of the canopy and the height of trees. They have been analysing 3D structure and primate behaviour in disturbed and degraded forests against those in primary forest. The knowledge gained from these studies will help to predict how much disturbance animals will be able to survive and where they will survive. In addition, they are developing an innovative method to use aerial photographic data, obtained from low-cost UAV systems, to measure forest carbon stocks. This will help developing countries to monitor forest degradation and measure the carbon stored in their forests as part of UN–led carbon storage programmes (REDD+). Ultimately, LEAP aims to support worldwide conservation efforts. For more information about the project, email Amanda or Ross for further details.